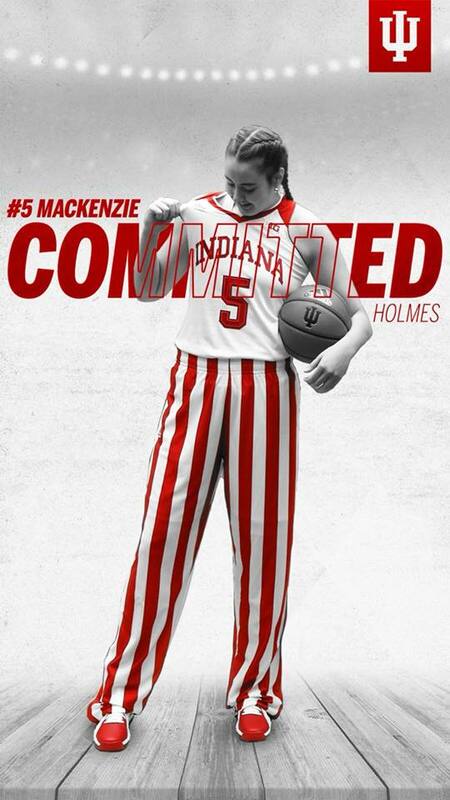 When the recruiting process began for Mackenzie Holmes, the 6-foot-2 forward set some benchmarks. Holmes wanted to play at the highest level possible. She wanted to play somewhere with a buzz around the program. Not only that, but she wanted a chance to play in the NCAA tournament. But in and around Gorham, Maine, there aren’t many programs that fit the bill. Mackenzie Holmes found her college basketball match more than 1,000 miles to the west, where Tyra Buss and Amanda Cahill have been leading the Hoosiers to consecutive postseason berths. The junior from Gorham High announced her commitment to Indiana on Wednesday, making her the third member of the 2019 class.